Dr Shimon Eckhouse serves as Chairman of Alon MedTech Ventures and as Chairman or board member of the boards of directors of incubator companies. He is a co-founder and former CEO of Syneron, and co-developer of the proprietary Elos technology on which Syneron’s aesthetic medical devices are based. 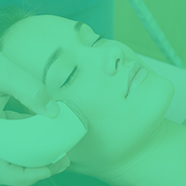 He invented and developed IPL technology, another foundation of non-invasive aesthetic medical devices. Dr Eckhouse is chairman and co-founder of CardioDex Ltd., NanoCyte Ltd., Navotek Ltd., Tulip Ltd., Rapid Medical Ltd., Opticul Diagnostic Ltd. and RealView Ltd., and chairman of Orsense Ltd. He was a co-founder and chairman of ColorChip and of Ventor Medical Technologies Ltd. Dr Eckhouse was the chairman and CEO of ESC Medical Systems. Previously, Dr Eckhouse worked at Rafael Armament Development Authority. Dr Eckhouse holds a BSc in physics from the Technion – Israeli Institute of Technology and a Ph.D. in physics from the University of California at Irvine. How aesthetic is aesthetic medicine science?